The tide of ever smaller, ever lighter electronics cannot be stopped. Whether a mobile phone on your wrist or an electronic controller for the petrol saving start-stop-system in vehicles, the demand on engineers is always the same: Maximised potential in electronics for minimum weight and size. In all areas of industry the answer is miniaturisation. This creates another challenging task for automation experts, since every day in industrial production millions of screws are assembled and of course even the tiniest of screws must be analysed for the utmost processing reliability. 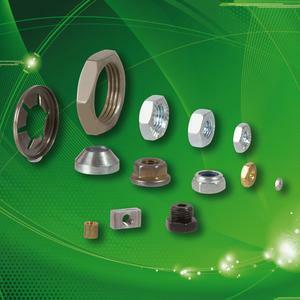 Screw joints are again in vogue and screwdriving technology is currently experiencing a striking upturn. In times of shortage of resources and environmentalism, system designers must stay abreast of new demands: devices should be repairable and recyclable. Although reworking is almost impossible with other joining technologies such as gluing and laser welding, this is just one of the advantages of screw joints. A screw can be removed without damaging the joined parts. Therefore screwdriving technology is becoming ever more significant in assembly applications. The trend of miniaturisation is also seen in the screws themselves which are getting smaller and smaller. However mini screws set higher demands on the assembly system technique, making it more complicated: Tiny screws are difficult to handle manually and consequently the use of an automated screw feeding and handling system offers greater efficiency and processing reliability. At the AUTOMATICA 2010 trade fair which takes place in Munich, Germany in June, the screwdriving and automation specialists DEPRAG SCHULZ GMBH & CO. are presenting their new generation of screw feeding machines: the series 6. The machine fulfils all requirements of a precise and reliable feeding cycle and separation of screws, even mini-screws. 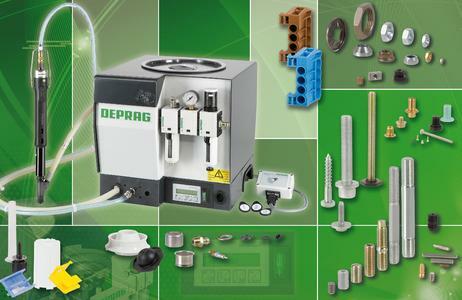 For many years DEPRAG has specialised in vibratory drive feeders for the feeding of screws, pins, bolts, rivets, nuts, washers, o-rings and other small parts. The vibratory drive feeder functions as follows: a vibratory magnet beneath the feed bowl is connected to an alternating current, a spring set and inbuilt regulating device. These cause a mono directional, high frequency, juddering movement in the bowl which transports the parts around the bowl spiral. In traditional feeding systems it is generally differences in feed rate which can cause the most problems for screwfeeding. As well as temperature differences in the feeding system or its surroundings, it is predominantly the continuously altering fill level in the feed bowl and the resulting changes in volume which alter the feed rate. The result is that the subject feed parts are not presented reliably and in keeping with the required machine cycle time. Up to now technical difficulties attributable to altering volumes in the feed bowl could only be solved with great expense and effort. Part hoppers and fill level sensors have to be added in order to maintain a constant volume of parts in the feed bowl. Miniaturisation presents a difficulty for traditional screw feeders. If the subject feed parts are very small the feed bowl contains more individual parts which in turn influence the volume. In order to cause the mass of parts to move a comparatively high vibratory amplitude must be generated. The individual screws themselves are however very small and lightweight. They tend to become overactive and behave inconsistently in the bowl when vibration is increased and then do not reach the separator reliably and in keeping with the sequence. 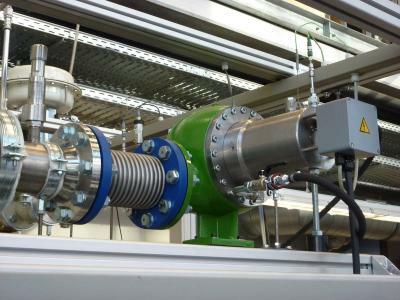 Here too, the fill level independent “Automatic Regulator” proves itself as an ideal solution. Whether in complex automated production within stationary assembly systems or applied manually with hand held screwdrivers the series 6 screw feeders reliably present every screw for assembly without fluctuation in the feed rate. The new generation of machines also has other notable advantages. The screw feeders are user-specific and can be adapted to the individual operator’s working speed. 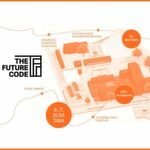 In contrast to standard feeding systems, where a change of operator preference parameters can only be carried out by electrical technicians, the RFID-Interface-System (Radio Frequency Identification) enables up to 10 workers to be registered to the machine controller by the operator’s chip. Their specific personal parameters, entered once in the convenient display, are instantly called up at the start of the shift. The screw feeder then works to each operator’s rhythm. The result: The atmosphere in the team is good, no one feels held back by their colleagues and no one feels overburdened. Acceptance of the feeder system as a part of the team increases as does efficiency. Improved function, heightened processing reliability and increased user friendliness through innovation and redesign of their existing product families are DEPRAG SCHULZ GMBH & CO.’s answers to the growing demands of the industry in production assembly. Their longstanding expertise in the field of feeding technology is embodied in the various advantages of the new screw feeder. The respective controller has also been thoroughly modernised. The machine parameters can easily be altered on the display and keypad. Feed bowl run time, screw air push, new cycle delay or minimum screwdriver run time can be simply changed by the operator in the clearly defined menu with two line text display. Soft start is also an option. In this case the optimum acceleration (ramp-up-rate) of the vibration intensity is automatically calculated by the machine. Additional diagnosis functions, via sensor technology, are optionally accessible. Troubleshooting messages, available in several languages, clearly appear in plain text. When the feed bowl is empty the message “fill level” is shown on the display. If a screw has been shot through incorrectly then the error message “screw presence control” appears. Part and daily counters, as well as measurement of assembly time, add to the processing reliability. Operation start up of the new screw feeders has also been simplified. A duration test simulating the customer’s serial production is carried out before delivery of every machine. 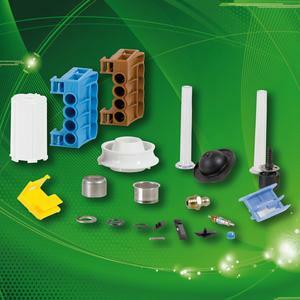 The customer’s specific operation procedure is accurately recreated. If, for example 12 screws should be fed and then assembly paused for workpiece exchange and restarted again, then these specifications are pre-programmed in the controller by DEPRAG. This approach saves the customer time and money and increases reliability for the relevant application. Additionally all individual machine settings are saved on file at DEPRAG so that if service consultation is ever required the relevant data is immediately available. Particularly when the screw feeder is to be integrated into a production system then, the series 6 feeders have several advantages over their competitors. The integrated sequence controller already includes a range of important functions. It can control and monitor several periphery devices such as valves, it can also monitor the feed bowl fill level, control inlet and screw presence control of the screw via the interfaces. 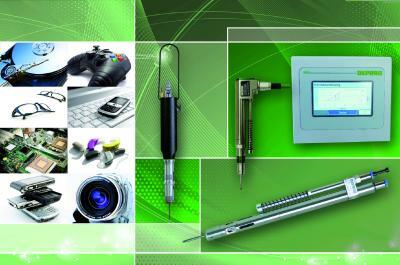 The customer no longer needs to waste time and effort programming the production system controller (PLC). Processing reliability is assured from the moment the first screw is shot in during the comprehensive factory test. There are now four separate start inputs available for the necessary screw feed hose distributors. 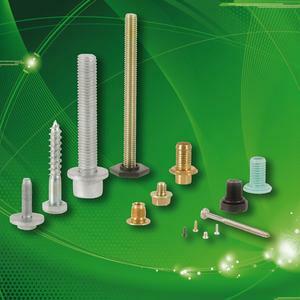 Screws can be adapted more easily to the application via the system controller. Simple programming on the PLC (just an impulse signal) is all that is needed. There is no chance of error when connecting periphery devices due to the use of the new permanent anti-short circuit power pack. This can be used worldwide for all devices from 85 to 264 V and 47 to 63 HZ. The series 6 screw feeders are instantly recognisable with clear lines and angles. They are robust and protected against dirt ingression. The sound-proof housing also ensures a quiet operating noise level. DEPRAG SCHULZ GMBH & CO. based in Amberg, Germany is represented in almost 50 countries with 600 employees. For decades the DEPRAG engineers have been providing innovative concepts for automation and offering full services for almost every field of industry. DEPRAG is not only a supplier of system integrators with innovative screwdriving and feeding technology, but also provides comprehensive automation solutions. They are a “One Stop Shop” company and take full responsibility for their products, a great advantage to customers when it comes to service and maintenance. Bernd März, the head of DEPRAG’s Head of Mechatronic Development is confident that they have launched a product with top processing reliability and a wide range of standardised functions at a low-cost price/performance ratio with this new generation of optimised series 6 screw feeders.